Rain arrived at Suzuka to interrupt the usual proceedings in third practice, but as soon as the track dried up, it was Lewis Hamilton again who was fastest on the super soft tyres. Vettel and Raikkonen were his closest competition, and were indeed much closer than on Friday. Mild rain arrived 15 minutes into the session that made the track damp, rapidly triggered most cars out on track to return to the pits. The damp conditions didn't last for long. The track dried rapidly enough to enabled normal running again late in the session. 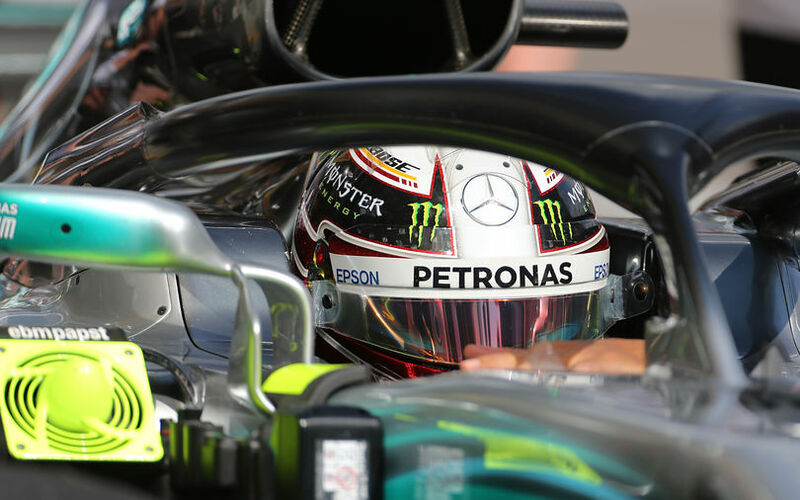 While Hamilton emerged fastest yet again, both Ferrari drivers must have been happy with their performances, as they turned out to be much closer to the pace setter than they were in Friday's free practice sessions. Max Verstappen was similarly much more competitive than on Friday. Having struggled with the balance of his car on Friday, the Dutchman was more competitive in final practice. Valtteri Bottas moved down the pecking order, but seemed not to take any changes with the tricky conditions. He still topped Ricciardo. Esteban Ocon was best of the rest yet again, making it 3 7th positions in a row. His Force India team mate Sergio Perez slotted in right behind, ahead of Sainz and Magnussen. The session ended on a lowpoint for Nico Hulkenberg as he crashed out 3 minutes from the end of the session. He picked up a minor amount of dust on the exit of one of the corners in the S-complex, lost control of the rear end of his car and subsequently spun off. Rear ending into the barriers, the rear wing was broken, and gearbox damage likely. Hulkenberg himself escaped unhurt. Due to the incident, the session was red-flagged prematurely, denying lots of drivers another few flying laps, likely hiding some true performances. Qualifying is about to tell later today.